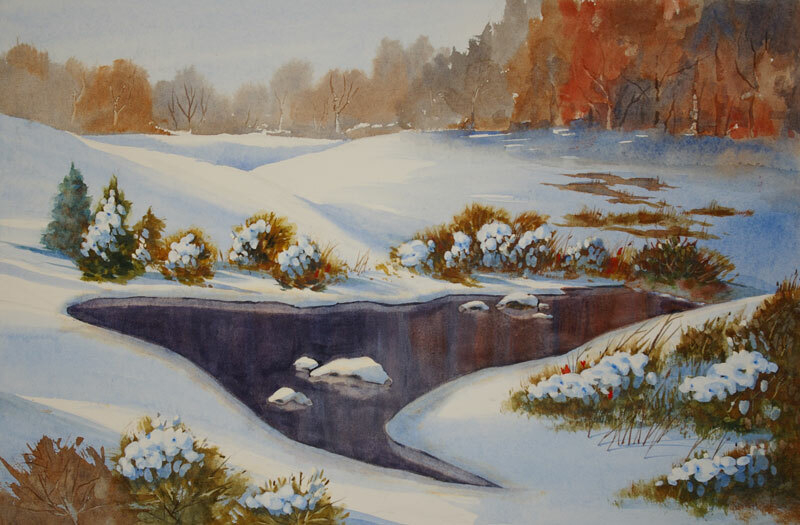 Thomas Freeman Original Watercolor Painting: "First Snowfall"
I painted this on a very smooth, white 300# paper. First using liquid friskit on the snow blobs and then painting the sky and winter foliage first. The pond has not yet frozen. An imaginative painting, inspired by the Midwest countryside.